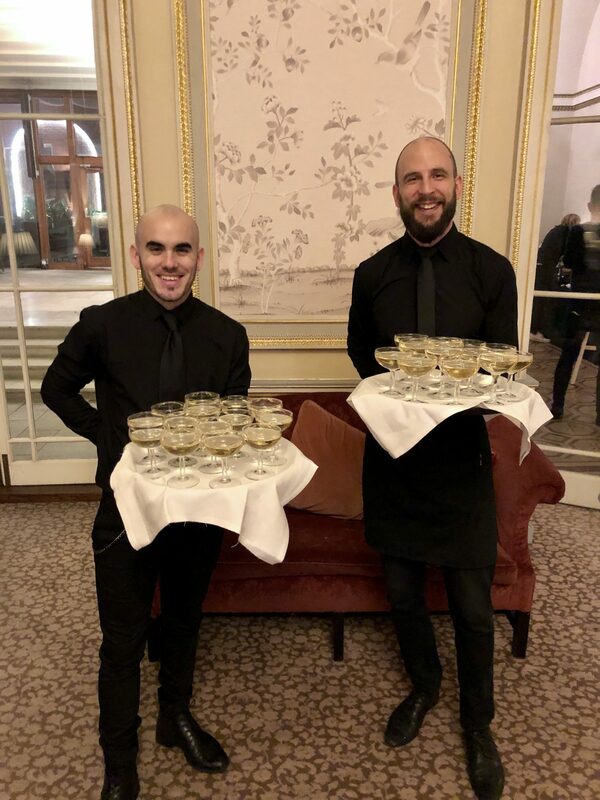 We had the pleasure of helping to support a wedding at the iconic Lansdowne Club in Mayfair London recently with our Art Deco mobile bar, mixologists, glassware and so much more. 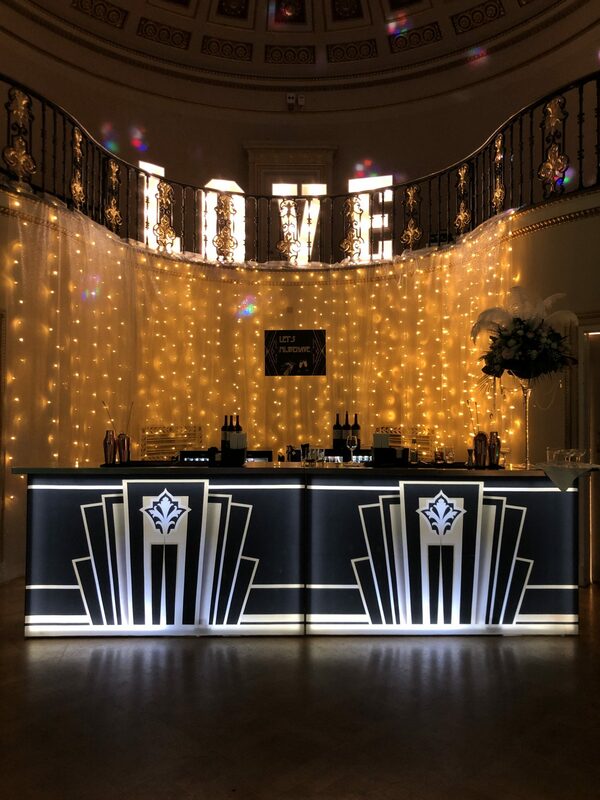 The Lansdowne Club itself is known in London as a prominent place for Art Deco architecture, the wedding was to be set in the period of Art Deco (20’s-30’s) and our Art Deco mobile bar hire and glassware represented the finishing touch for what was an amazing day. Originally established in 1935 in Berkeley Square in Mayfair the Lansdowne Club was known as Lansdowne House, a grand manor house which had stood in the square since the 18th century. However, Westminster council required another road in the 1930s as a result Lansdowne House lost the front section of the building and the Lansdowne Club was born. The club still maintains its 1930, Art Deco charm with the raised concourse in the main hall providing the perfect back drop for our Art Deco mobile bar. 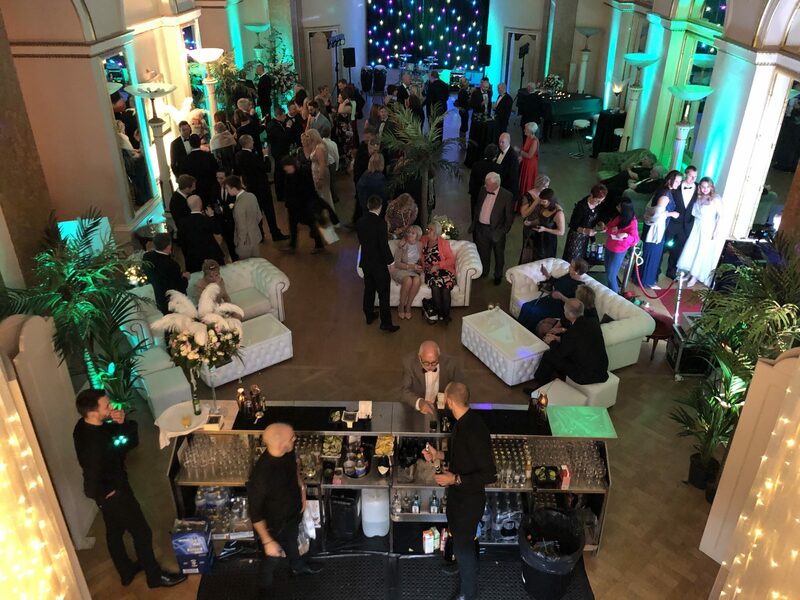 With around 130 guests in attendance, we advised on a 4 meter version of our Art Deco mobile bar hire to ensure everyone could be served in a timely and efficient manner – always quite important at weddings! Further to the bar, we had two of our professional mixologists and flair bartenders, as well as two support staff ensuring the bartenders had everything they needed and the beautiful glassware made its way back to the bar. As it was a free bar, the client provided all of the alcohol and drinks. 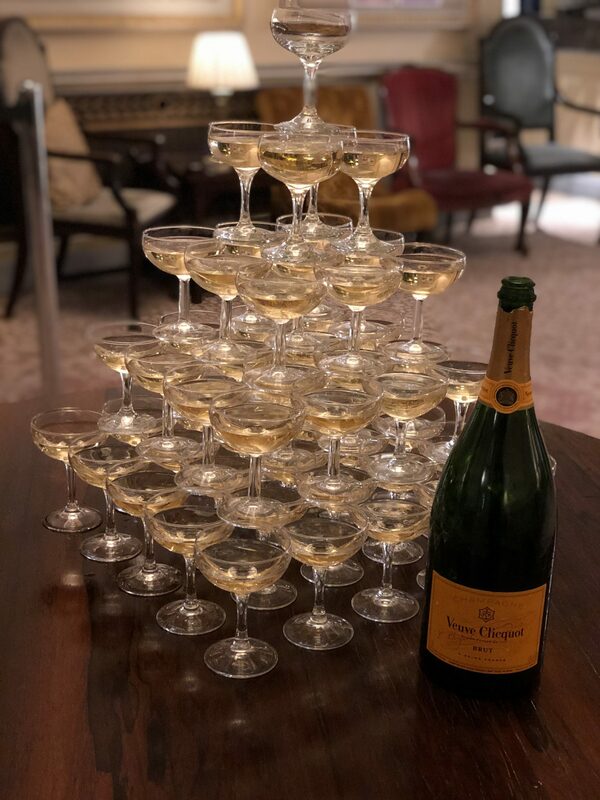 In addition the bar, bartenders and glassware we also put together a mini champagne tower featuring 1920s champagne saucers. With our Art Deco mobile bar, the beautiful original decor of Lansdowne House and the champagne tower to match – it was clear the theme was a grand success. We want to wish Holly and Simon all the best in their marriage after what was a fantastic event. If you are interested in our art deco mobile bar, art deco mobile bar hire, mixologist hire – or anything else then please do not hesitate to get in contact.